We’ve seen snippets that coal ash ponds across the U.S. are contaminating groundwater. But according to a wide-ranging study of coal ash ponds that are subject to groundwater monitoring, we now see how widespread the issue is. 241 of the 265 plants, or 91 percent, that were subject to the monitoring requirement showed unsafe levels of one or more coal ash components in nearby groundwater compared to Environmental Protection Agency standards. 52 percent of those plants had unsafe levels of cancer-causing arsenic in nearby groundwater, while 60 percent showed unsafe levels of lithium, which can cause neurological damage. “Using industry’s own data, our report proves that coal plants are poisoning groundwater nearly everywhere they operate,” Earthjustice senior counsel Lisa Evans said in a statement. Why is coal ash a problem? The contamination of groundwater from coal ash has raised concerns from environmentalists about the potential effects that it could have on drinking water for those living near coal-ash sites. While power companies are taking steps to retire coal ash ponds, there will be costs associated with that. Who ends up paying for those costs? Consumers do via rate increases. Already we’re seeing that Virginia’s plan to clean up Dominion Energy’s coal ash problem will result in just that. It’s expensive to get rid of this problem. And customers will be bearing the brunt of it for many years to come. 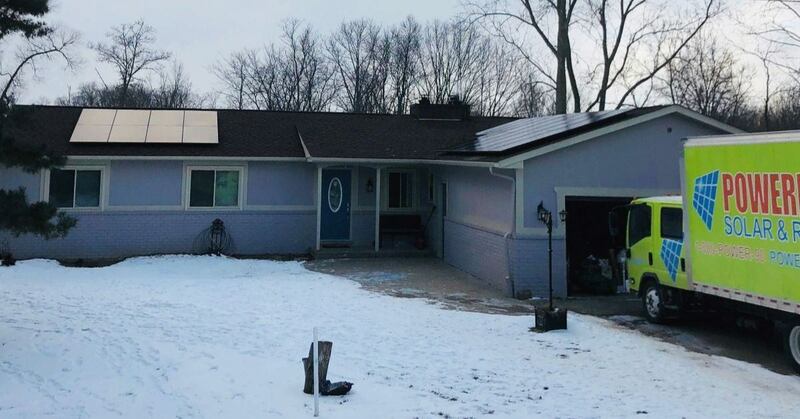 Power customers don’t have to put up with this, because going solar at your home presents a clean, green energy alternative to unclean energy sources such as coal. Even electricity made by burning natural gas emits greenhouse gases known to contribute to global warming. Meanwhile, there are no carbon emissions from solar, and that’s a big win for the environment. POWERHOME Solar makes a difference every day in the lives of those who go solar with our help. Not only are POWERHOME customers taking steps to reduce their power bills and beginning to own their power, they are positioning themselves to do a great thing for the environment. Not only is solar a great alternative, it’s a cost-effective one. POWERHOME Solar would love to see if you home qualifies to go solar. Our American-made solar panels come with a 30-year warranty, which is five years longer than the industry standard. And you also can go solar for $0 up-front cost. But remember, the value of solar is so much more than just the cost savings. It’s about doing the right thing now, and into the future. Please call us at 800-765-2715, and one of our representatives would be happy to see if your home qualifies to go solar.